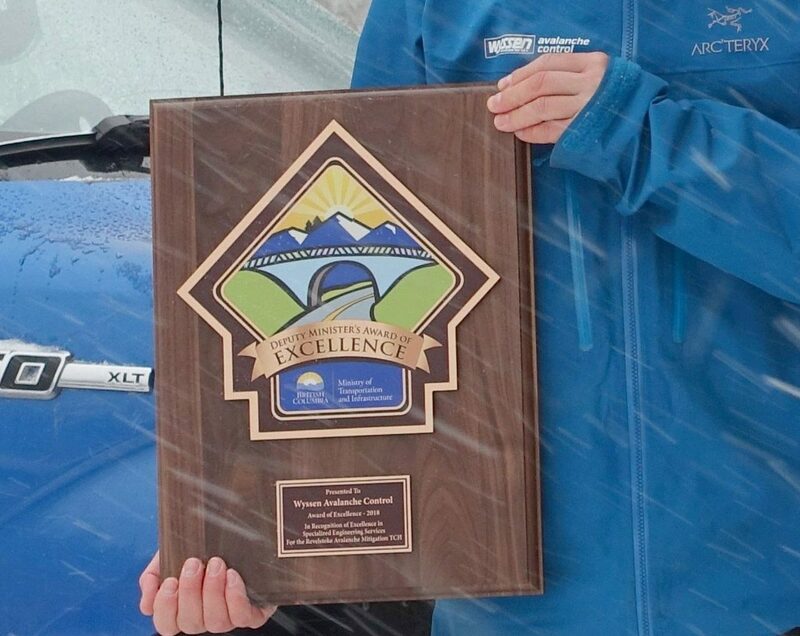 In Recognition of Excellence in Specialized Engineering Services for the 3 Valley Gap project the Ministry of Transportation and Infrastructure (MoTI) awarded Wyssen Avalanche Control during the annual meeting in Vancouver. Despite the very challenging construction area, working conditions and proximity to the highway the project was completed on time and within budget. The project has been fully operational since Winter 2017/18 and significantly increased highway reliability and worker safety. Awestruck winter sports fans call it the Powder Highway. Located at the heart of the Rocky Mountains, Trans-Canada Highway #1 connects some of the most renowned ski areas in the country and it is a dream route for skiers and snowboarders alike – but one that also poses a number of challenges. 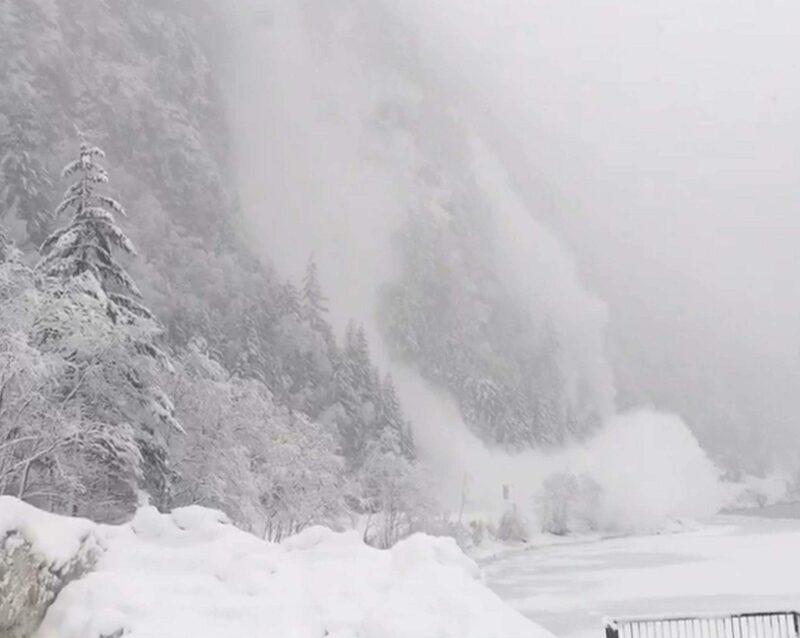 Until recently, the passage between Salmon Arm and Banff in the area of 3 Valley Gap and Rogers Pass was frequently blocked due to the risk of avalanches. Whereas avalanche protection to date has only been possible by means of road closures and helicopter-based avalanche control, both of which are expensive options that depend on flyable weather, there is now a much better alternative available. 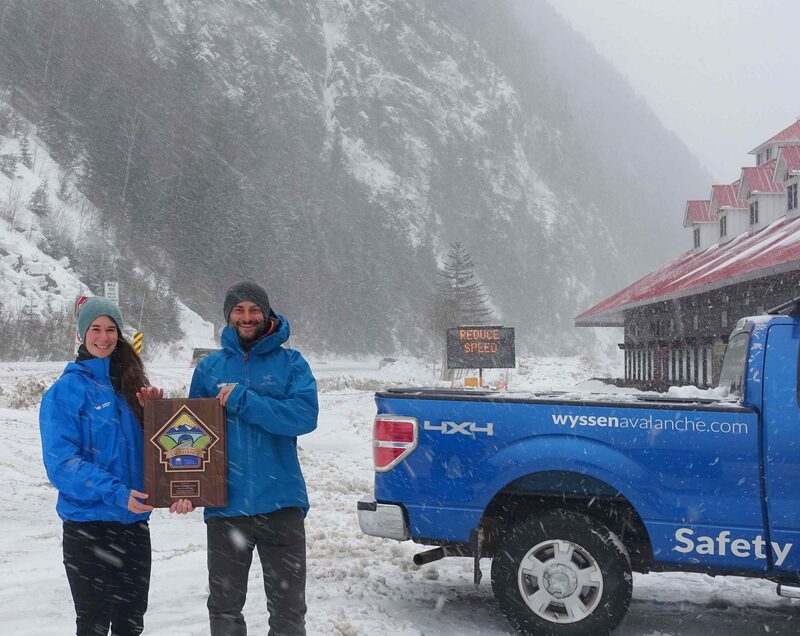 Since 2016, the Canadian subsidiary of Swiss company Wyssen Avalanche Control has been installing avalanche towers along the route in the area of 3 Valley Gap and Rogers Pass in Glacier National Park, the latter being notorious for its risk of avalanches. This activity relates to two specific projects. The first project involved the installation of a total of nine avalanche towers in the area of 3 Valley Gap – four in 2016 and five in 2017 – as commissioned by the Canadian ministry of transportation. 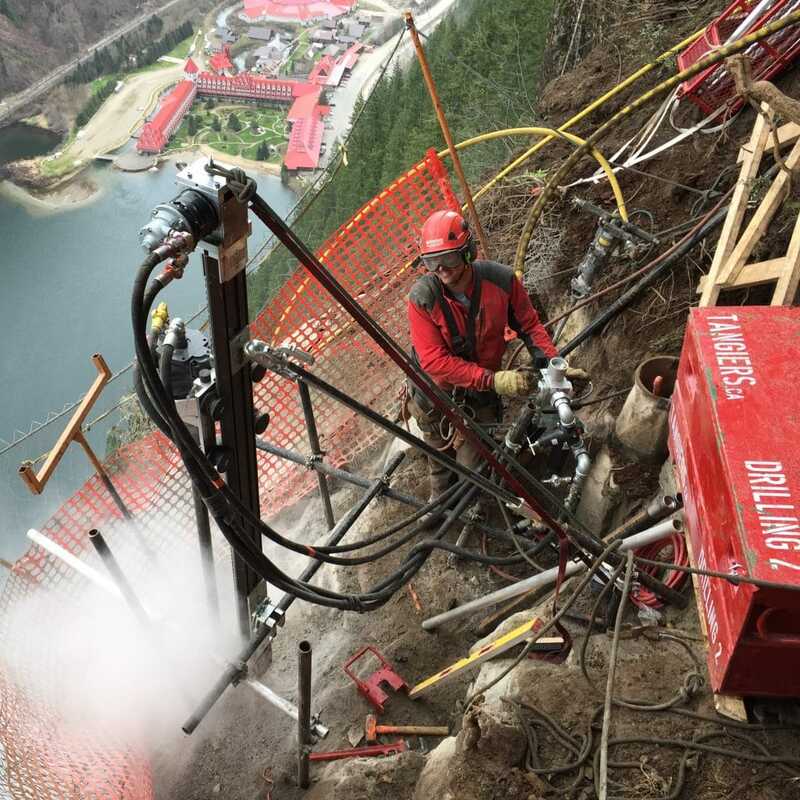 The proximity to the road and the frequent rockfalls made this project especially challenging, with workers often only able to work on a safety rope. 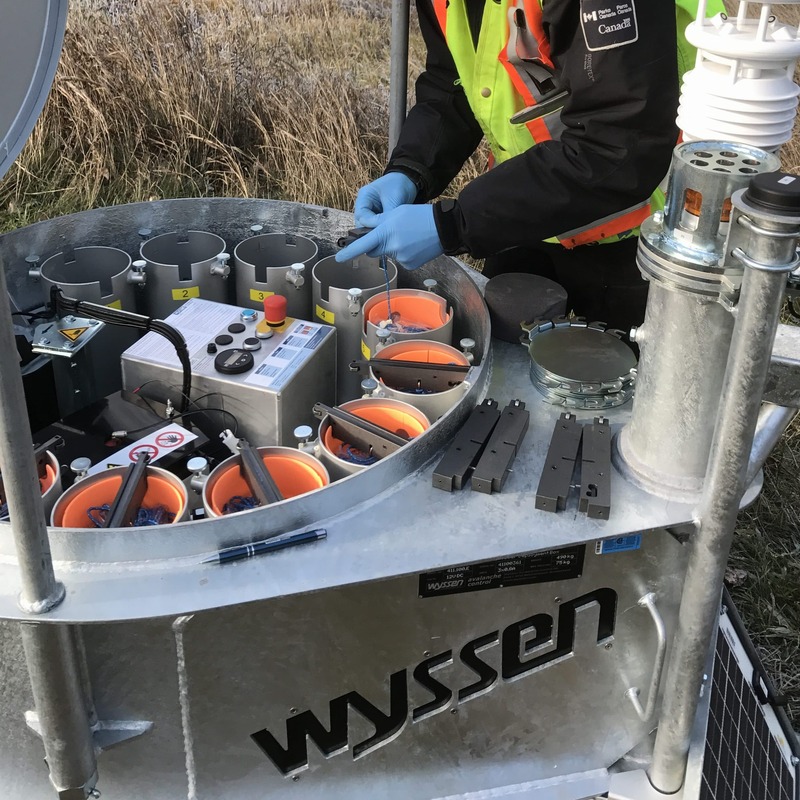 However, the installation of the first four Wyssen avalanche towers in 2016 succeeded in reducing the highway closure times in this area by over 50 per cent. A key additional benefit is that the level of risk is significantly reduced for the employees, who were previously required to perform avalanche control manually from a helicopter. 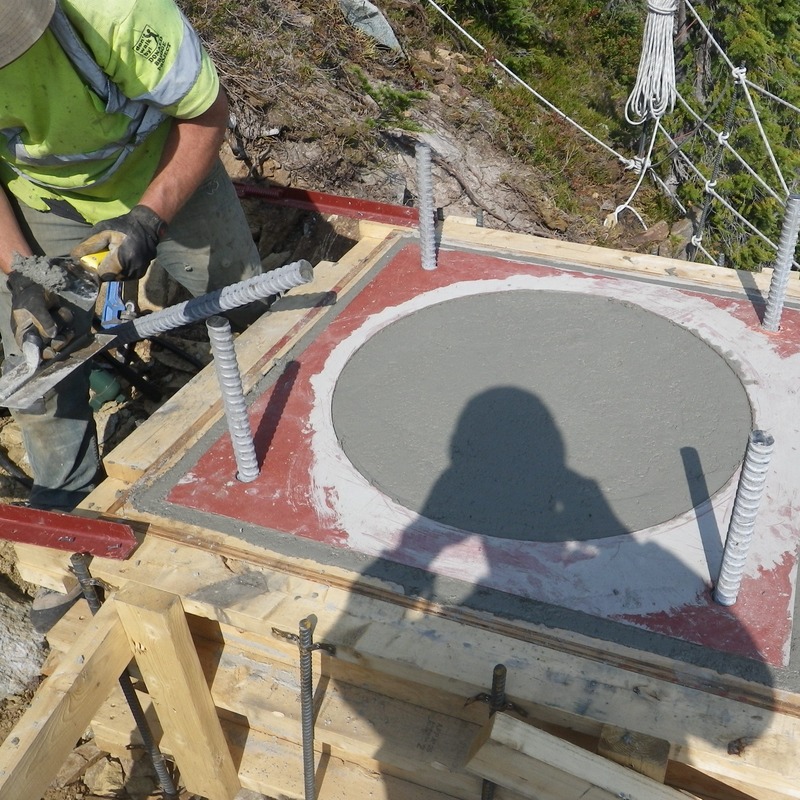 In the second project, a total of five avalanche towers were installed in the area of Rogers Pass in a period of only 4 months between June and September 2017. The Canadian National Parks were responsible for commissioning this project. Preventive avalanche control using avalanche towers ensures a far higher level of safety than the previously applied methods. An avalanche is released by sending a coded message to the control system of the deployment box, which contains twelve prepared explosive charges. These charges can be launched individually via remote control. When the charge drops, two pull pin fuses are activated and the detonation is triggered at a pre-configured height after a certain delay. For recharging purposes, the entire deployment box is picked up by helicopter and flown to the station building. The benefits provided by the new system are impressive. The time required for protection work is reduced from one hour including the flight to five minutes. Charges can now be triggered round the clock, regardless of the time of day and the weather conditions. This enables a faster and more efficient response to hazardous situations and improved use of resources. The response among local residents demonstrates that both projects are seen as a lasting triumph. 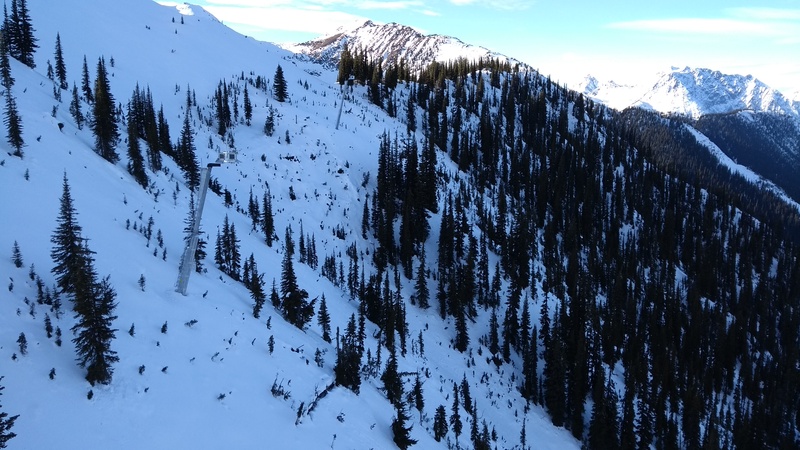 “The feedback from people in Revelstoke was extremely positive,” notes Walter Steinkogler, who is responsible for the Canadian market at Wyssen Avalanche Control AG. 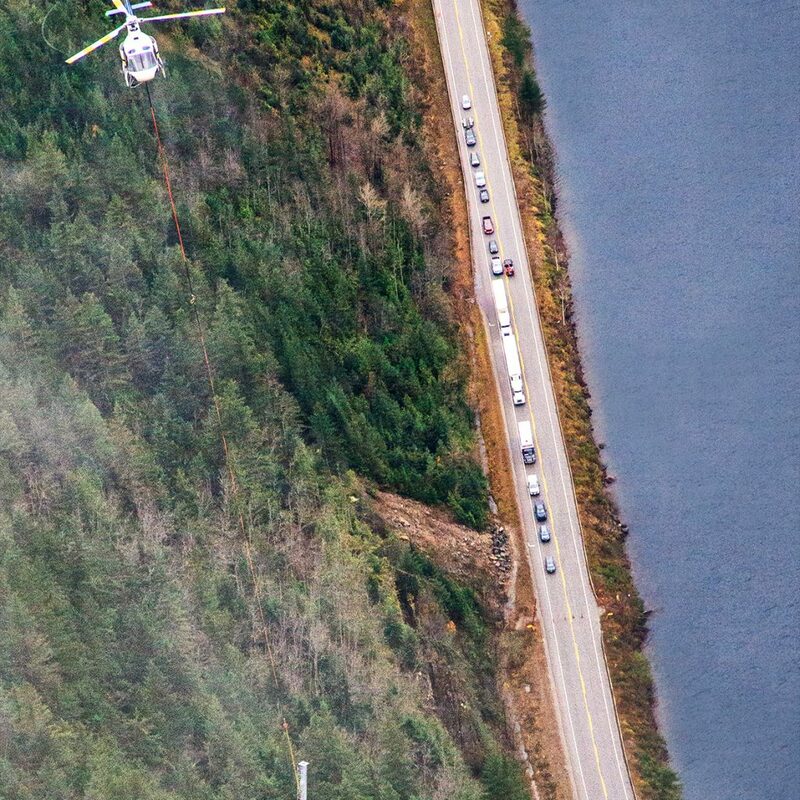 “They often tell us how important it is for them that this solution has become a reality.” The days of Revelstoke being jokingly referred to as Revel-stuck due to the large number of roadblocks might well be over. The tourism industry is also thrilled with these developments. “The Trans Canada Highway is the most crucial route for us in terms of taking our guests to the Canadian ski areas and ensuring that they can experience heliskiing. 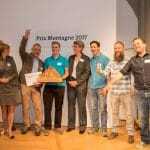 This makes it all the more important to us that our ski trips can take place on schedule and risk free thanks to sophisticated avalanche protection,” says Pia Stumböck of Stumböck Club, the leading German ski trip organizer.